The PIXMA MG3020 Wireless Inkjet All-In-One printer combines the convenience of cloud connectivity with quality image and document printing, all in an affordable package. PIXMA Cloud Link allows you to connect with cloud services like Dropbox and Evernote through your smartphone or tablet, giving you access to an even greater variety of print options1. Its hybrid ink system combines dye ink for vivid colours and black pigment ink for sharp text, which produces incredible quality and detail in both your photos and documents with a maximum print colour resolution of 4800 x 600 dpi2 using FINE print head technology. 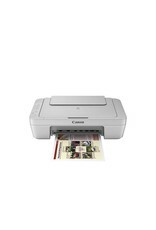 It also offers built-in Wi-Fi, so you can print wirelessly anywhere as long as your device is connected to the same local wireless network as your printer.8 Images and documents are processed quickly, with print speeds of 8.0 images per minute (ipm) for black and 4.0 images per minute (ipm) for colour.3 Other features include Auto Power On a convenient option that automatically powers up the printer whenever you send a photo or document to be printed, reducing power consumption. And, Quiet Mode lets you print quietly without disturbing others. The MG3020 is compatible with Easy-PhotoPrint+, an application that enables editing and printing right from your tablet or smartphone4 It comes with a variety of templates and printing options, and as it is web-based, you can always have access to the most up-to-date version of the application. The MG3020 also comes with My Image Garden14 software that lets you easily access all of your favourite memories in one place so you can print photos to share and enjoy, and Full HD Movie Print6, which turns your favourite HD movie clips captured with your Canon EOS Digital SLRs, PowerShot digital cameras or VIXIA digital camcorders into beautiful prints in one, convenient software application. In addition, you’ll have access to CREATIVE PARK PREMIUM7 where you can download exclusive creative projects and content. 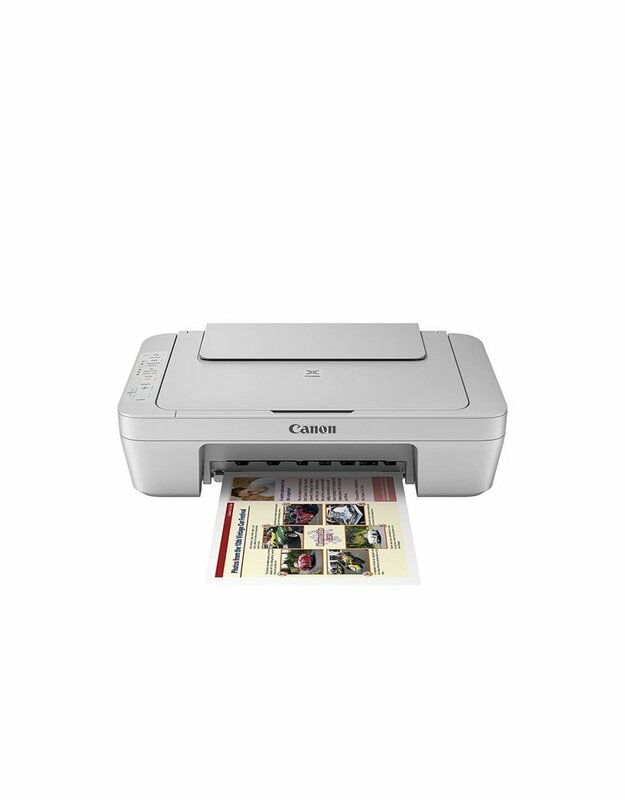 Auto Power On: This convenient feature automatically powers up the printer whenever you send a photo or document to be printed. My Image Garden: My Image Garden software makes organizing and printing your photos fun and easy with great facial recognition, Fun Filters, Calendar Organization, Automatic Layout Suggestions and so much more!14 Creative Park Premium: Download exclusive creative projects and content.7 Quiet Mode: This considerate feature lets you print anytime without worrying about disturbing those around you. PIXMA Cloud Link: Connect with cloud services like DropBox and Evernote for ultimate flexibility.1 Built-In Wireless: Print and scan wirelessly from any Wi-Fi® enabled computer around the house.8 Google Cloud Print: Allows users to print from Gmail™ and Google Docs™ on a mobile device, and from Google Chrome™ browser for Mac®, Windows®, Linux®, and Chrome™ devices. With Google Cloud Print, you can print from wherever you are, from applications you use every day.10 Mobile Device Printing: The free Easy-PhotoPrint+ app lets you wirelessly print and edit files from compatible devices.4 Hi-Speed USB: Plug the cable into your PC for a super-fast connection for your data transfers.